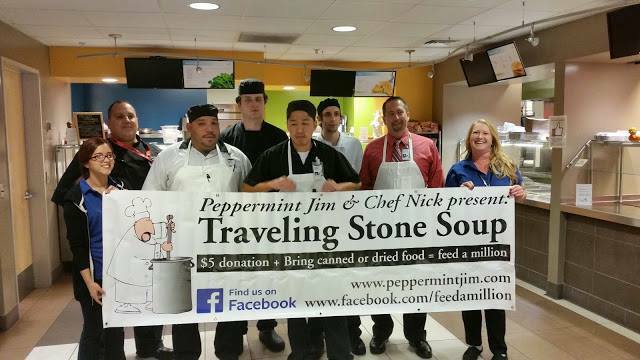 Rio Salado College | RioNews: Traveling Stone Soup 2015 Begins Dec.10! Traveling Stone Soup 2015 Begins Dec.10! 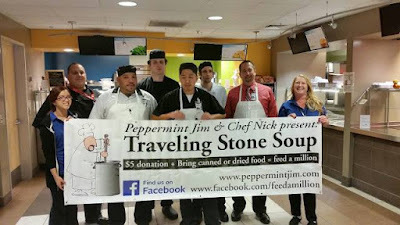 Rio Salado College and its Sustainable Food Systems team is proud to serve as an official co-sponsor of Traveling Stone Soup 2015! We hope you’ll join us in supporting this community effort to end hunger with Peppermint Jim, Chef Nick and the Tiger Mountain Foundation. 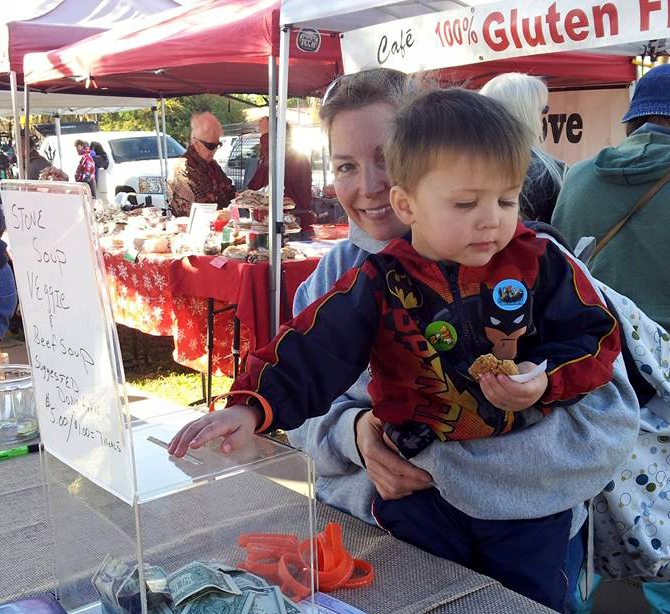 Traveling Stone Soup Feed a Million events will take place Thursday, Dec. 10 at the Sun City Farmer's Market; Friday, Dec. 11 at Mesa Farmer's Market; Saturday, Dec. 12 at Scottsdale Old Town Market and Sunday, Dec. 13 at Ahwatukee Farmer's Market. Visit this event web page for additional details. Stop by for a bowl of stone soup, bring canned or dry foods and help feed a million!